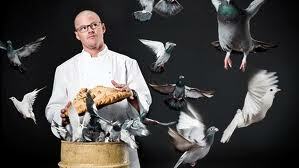 On Saturday, I found a fantastic show on Foxtel called Heston's Feasts. 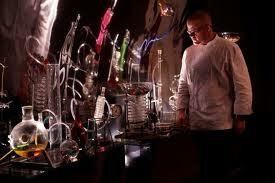 Heston Blumenthal is a chef with a flair for the unusual, and a love of science, history and literature. He is interesting, intelligent and very talented! in order to create an amazing feast for 6 celebrities. and a flambe iceberg, which of course pays homage to the sinking of the Titanic. 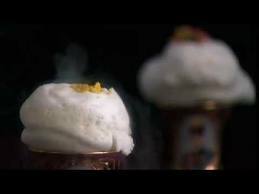 Not only does Heston create fabulously clever dishes, he also hosts the feasts in magnificent venues, with elaborate decor and food displays to suit the theme. that I am adding it to my planner so I can record every episode! Take a look at it yourself if you get the chance. I love watching cooking shows, when we had cable, i used to watch about 10 cooking shows with diff themes!